In a wild election cycle, the first presidential debate at Hofstra University did not disappoint. Hillary Clinton and Donald Trump, both presidential candidates with historically low approval ratings, made a statement from the moment they stepped on stage. Indeed, Hillary’s suit bore the colors of the Republican party, while Trump ditched his red tie for a Democrat blue. 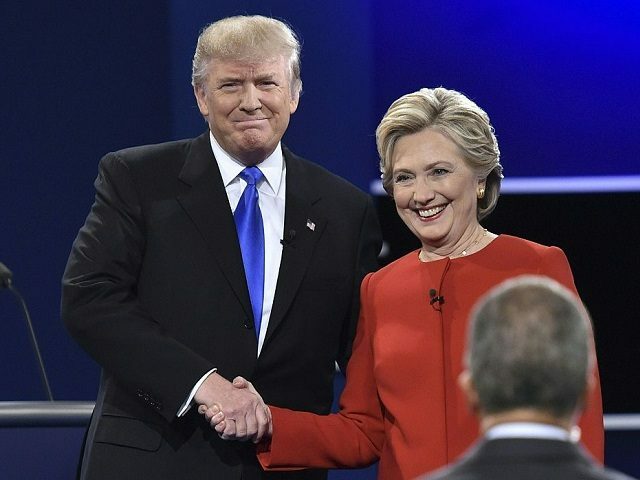 Moderated by Lester Holt, the debate was structured into two main topics, both central issues of this year’s election – achieving prosperity and securing America. On the topic of achieving prosperity, both candidates had very different answers. On the one hand, Hillary focused on the need for investments in renewable energy and infrastructure, for a fairer economy that encompasses paid family leave and a reduced wage gap as opposed to “Trumped-up trickle-down economics”, and for a greater focus on education. On the other hand, Trump ranted about China and Mexico taking our jobs while America becomes “the piggy bank to rebuild China,” blamed the Obama administration for the national debt, and self-congratulated himself on his business acumen. In other words, Hillary set up her entire agenda mostly without making Trump the core of her argument (she did poke the bear when she mentioned the Trump fact-checker on her website homepage). 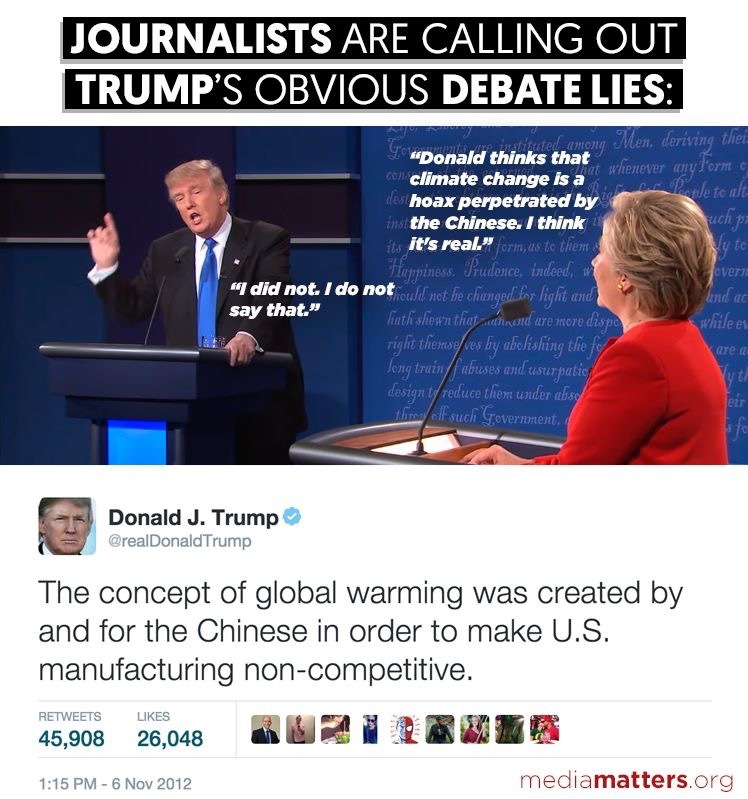 This cannot be said about Trump, who interrupted Hillary multiple countless times, often dodged the moderator’s questions and bended the truth countless times. The debate started to get confrontational when Trump was asked about his tax returns. Clinton, far from being irreproachable with all the scandals surrounding her, challenged him on the fact that Trump doesn’t pay income tax. Donald rebutted by demanding to see the private emails first. This started a series of jabs throughout the debate that drew reactions from the crowd. 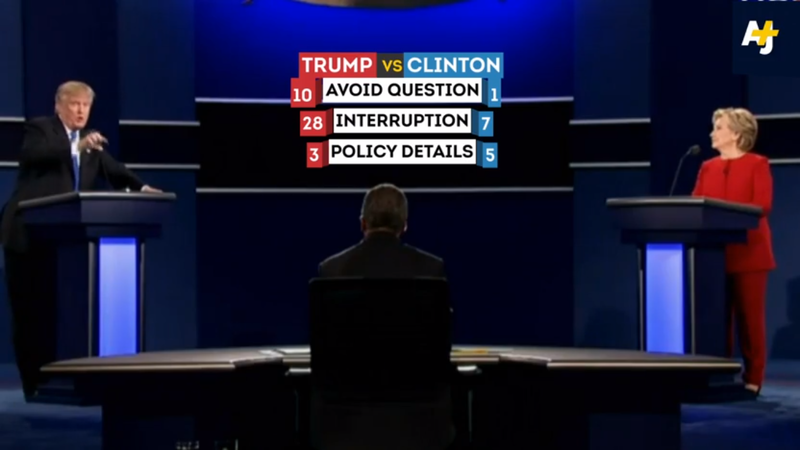 The most interesting part of the debate revolved around race relations in America, and how each candidate would heal the divide. Hillary talked about the need to restore trust between communities and the police and ensure better training for police officers to fight implicit bias; she suggested that everyone needs to be respected by the law while everyone needs to respect the law; she mentioned the need for criminal justice reform, and the need to get guns out of the hands of dangerous people. This answer was obviously pandering to general election voters (generally more centrist), and did not bring to light any concrete policies or solutions to dismantle the structural racism. Trump’s ideas and suggested policies had alarmingly racist undertones. Indeed, he repeatedly underlined the need for “law and order,” historically racist political rhetoric which has led to the oppression and mass incarceration of people of color in the US. 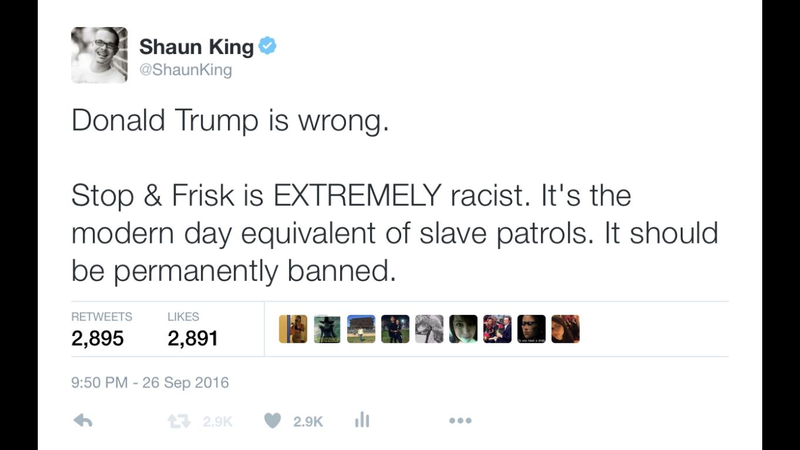 He also supported the reinstitution of Stop and Frisk, ruled unconstitutional and considered an alarming vector for racial profiling. He called for more police in an already hyper-militarized police state. To make matters worse, Trump proceeded to claim that he made Obama produce his birth certificate after reenforcing the racist birther lie. On the second main topic of securing America, it was more of the same. Trump was at it again with his alarmist rhetoric, stating that “[America] loses at everything.” His foreign policy ideas weren’t much more convincing, as Donald suggested the US military is falling behind (which is clearly wrong) and that we shouldn’t help our NATO allies unless they pay us. Trump also accused Obama and Hillary of creating ISIS, painting himself as a foreign policy genius that can defeat ISIS but never giving any concrete indication of how. Hillary was more composed and knew her stuff, even schooling Trump on NATO and how the alliance works. Signs of her questionably aggressive foreign policy tendencies were apparent, however, as she suggested more airstrikes on the ISIS occupied territories.